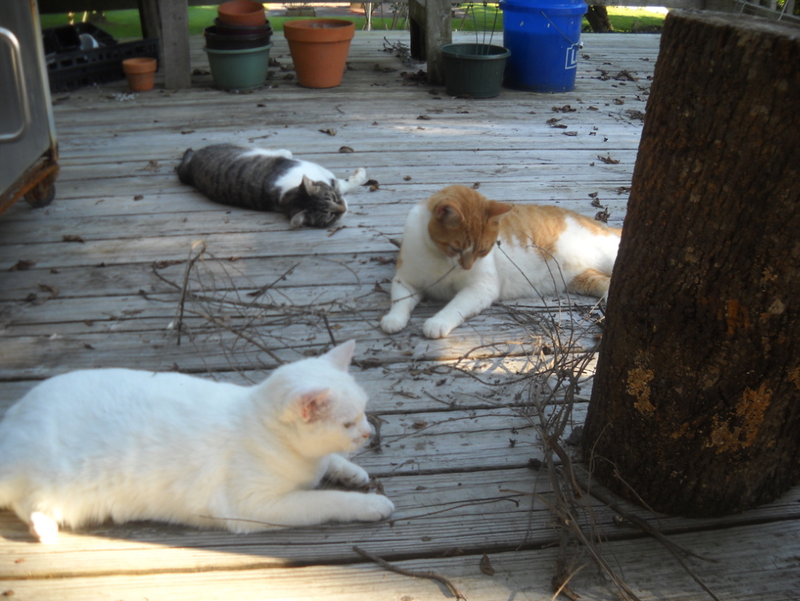 One thing that will bring all three cats together for a photo opportunity is the catnip harvest. I stripped the dried catnip plants of their leaves and flower tops and dropped the bare stalks on the floor of the deck as I went. They've enjoyed their personal catnip garden all summer, but the aroma of the stripping project brought them real ecstasy. What a good idea! thanks for sharing it.